Advertisers generally sell more, more, more. 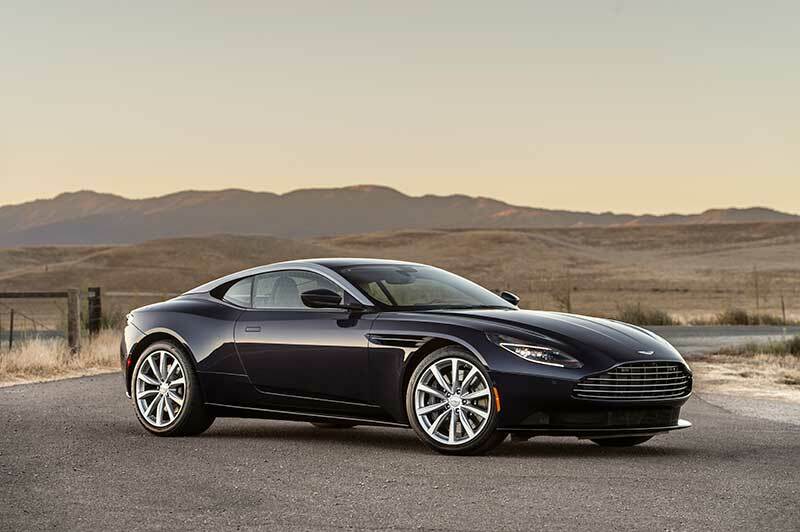 But if the 2018 Aston Martin DB11 V8 could talk, it would tell them all to zip it. The refined V-12 version is a marvelous GT, but the rambunctious, four-cylinders-lighter V-8 is the little brother who’s up for having a bit more fun and nicking a Double Stuf Oreo cookie from the jar when no one’s watching. 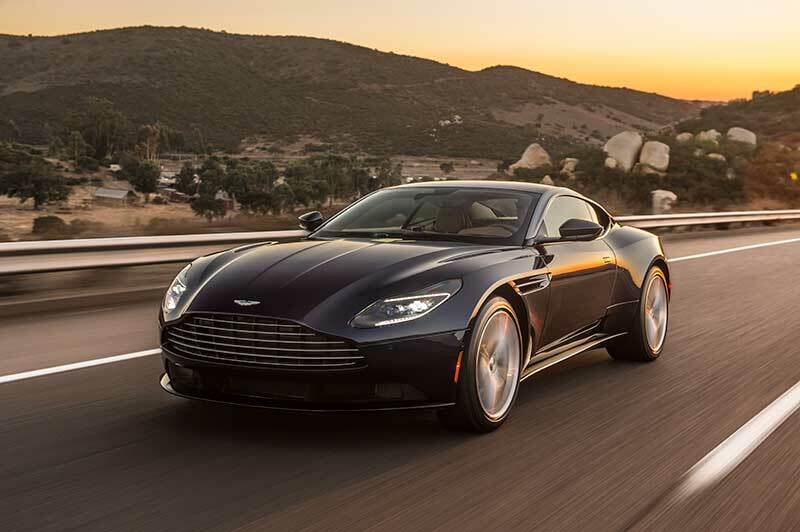 The DB11 V8 has the same eight-speed ZF transmission, Bridge of Weir leather interior, and optional fit and finishes as the V-12 version. It still takes the same 200 hours to build—with 50 of those for the paint job alone. As for that paint color, customer choices are still as vast as their imaginations, and the lighter colors still show off this beauty’s fascinating details, such as the C-shaped taillights, the black band through the C-pillar that give the car a kind of masked crusader look, and the understated-yet-meaningful body contours in the sheet metal. Telling the V-8 apart from the V-12 at a glance is difficult. 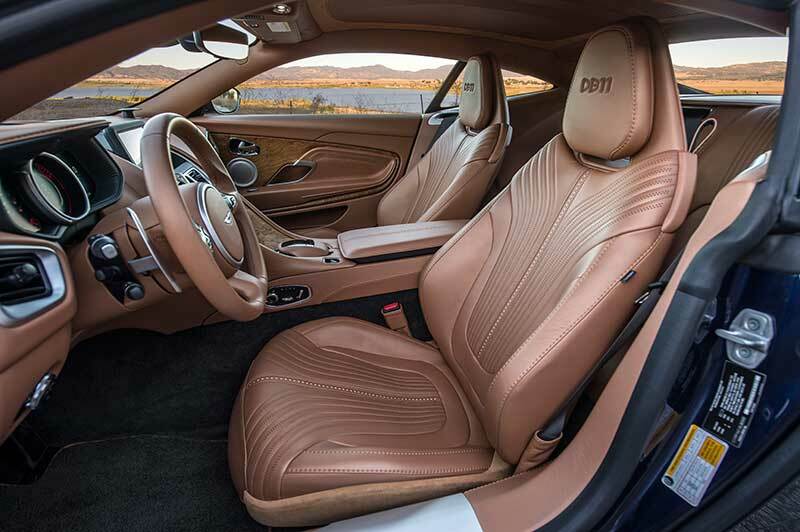 The subtle exterior cues—including two engine cover air vents instead of the V-12's four and darker headlamp bezels—make the models as tough to differentiate as the Doublemint gum twins. But beneath those two air vents and the sheetmetal around them are where the real differences lie. Stiffer springs, dampers, and suspension bushings, plus a revised intake and exhaust, repositioned engine mounts, increased lateral stiffness, stability control, brake calibration, all of it was magically and finely retuned by Ian Hartley, senior manager of vehicle dynamics and the DB11 V8’s chief engineer. As a result, the V-8 feels deliciously lighter and faster, as sharp as a ginsu knife slicing a mango instead of hacking a beer can. 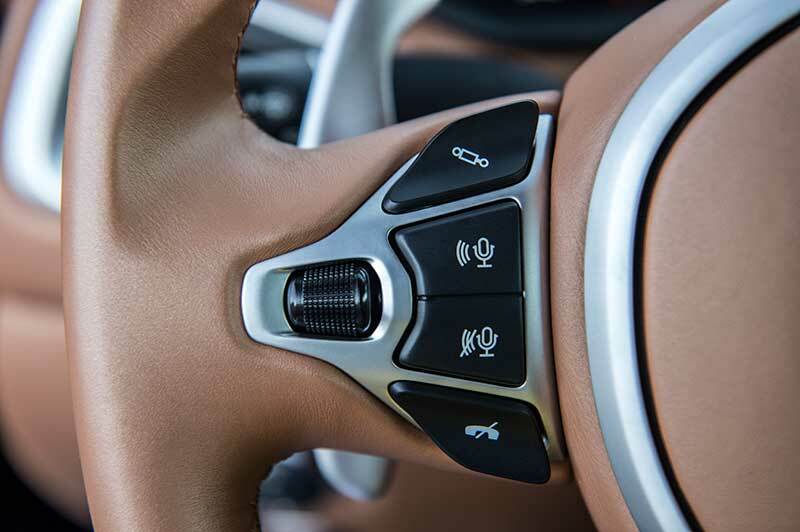 The paddle shifters' throws are shortened 50 percent compared to the V-12, which makes a huge difference when manually zipping through gear ratios. 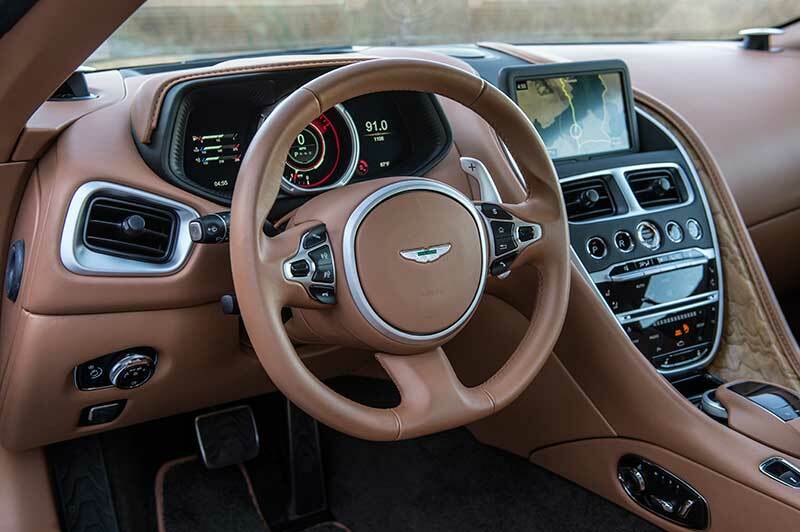 The engine mapping was reprogrammed with new software; Aston Martin even toyed with the torque vectoring software to make it more responsive. 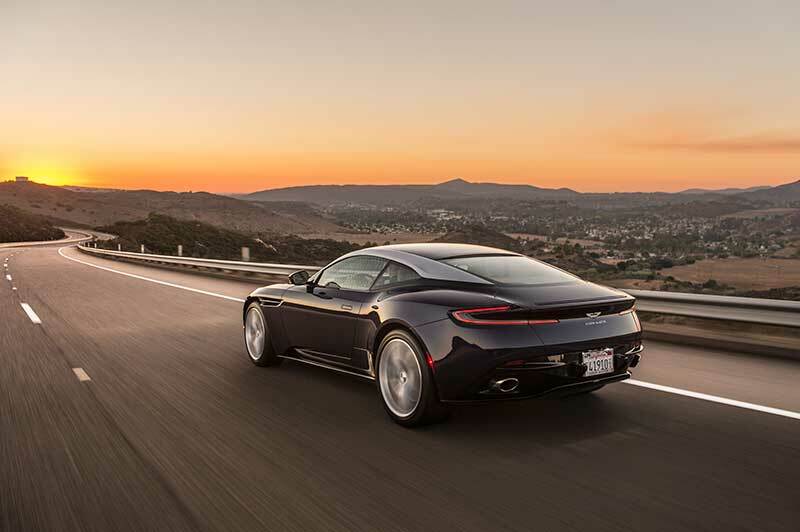 Twists and turns around Palomar Mountain just east of San Diego were energetic and exciting—and while it took a lot of speed, it was wholly satisfying getting the DB11’s 20-inch tires to squeal. 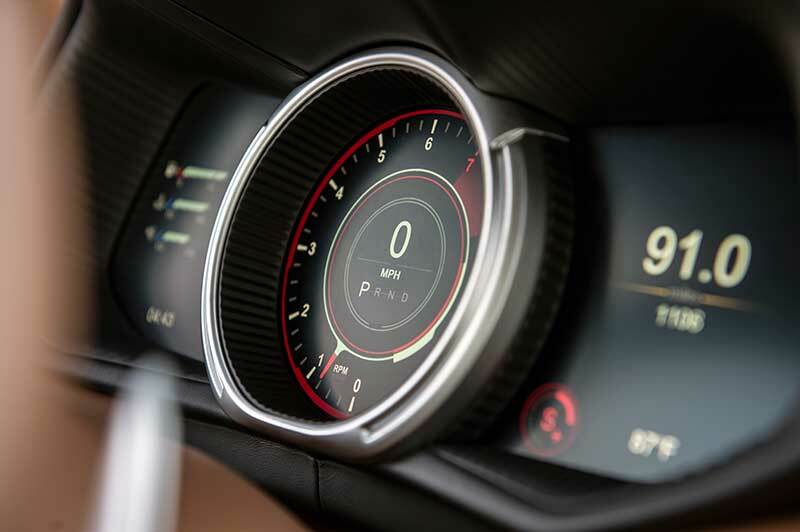 Teaming up with Daimler for Mercedes-AMG's mechanical expertise was a coup for Aston Martin, and this twin-turbo 4.0-liter V8 furnished by the German auto juggernaut is very good. But every relationship comes with sacrifices. Hartley says he had initially hoped for four drive modes, but Daimler’s software only allowed for three. As a result, he says he created greater spacing between GT, Sport and Sport Plus mode modifications. 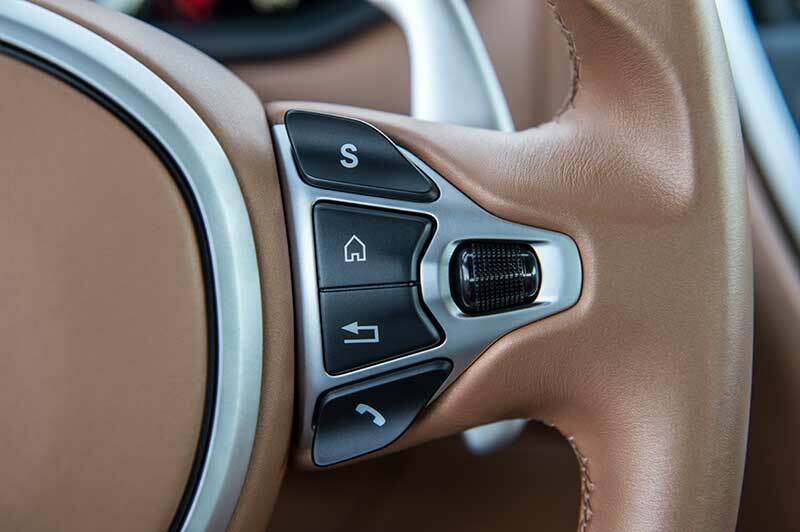 Aston divides out suspension control, however, so you can get quick shifts and the noisy exhaust without the harsher ride, if you like. Likewise, you can leave the engine and gearbox in quiet GT mode but firm up the suspension, if you so desire. 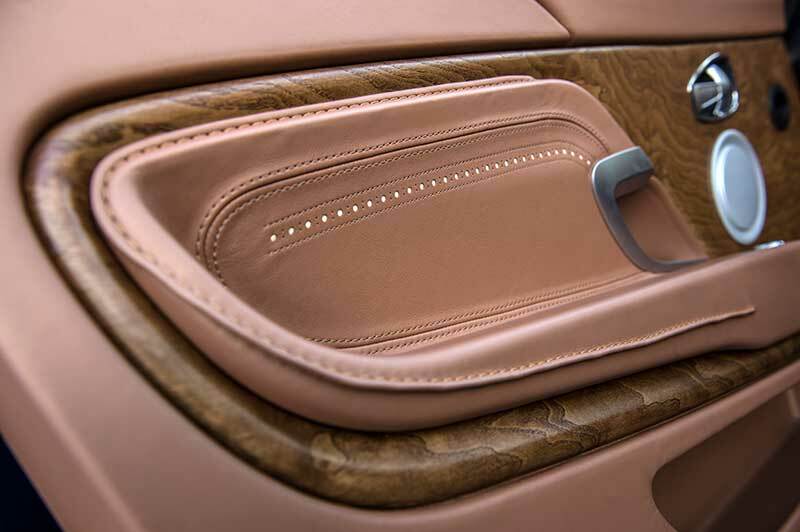 The result: nine different ways to fashion the driver’s experience. 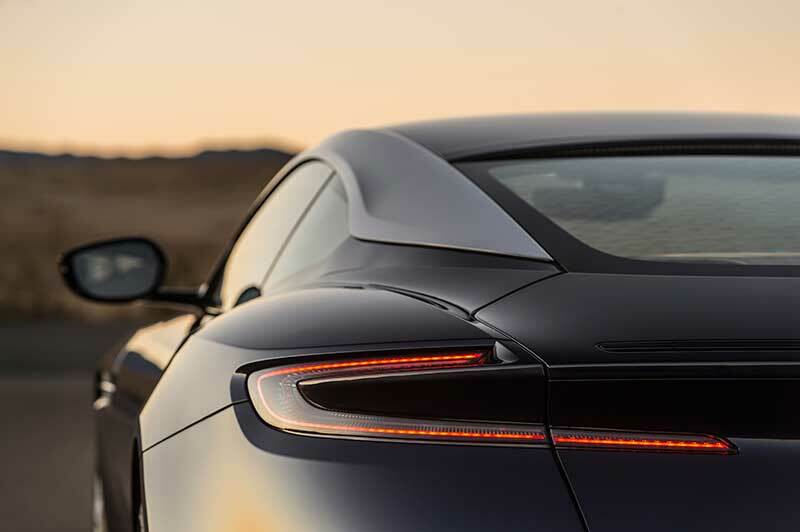 Unlike other manufacturers whose drive modes are either undetectable or attempt to turn family sedans into Formula 1 cars, the differences between modes on the DB11 V8 are palpable but not grandiose. No one will accuse it of being a track car, even in the most aggressive Sport Plus setting. But with the exhaust opened up, downshifts happening more quickly and the upshifts coming a bit harsher, the DB11 V8 is definitely a bolder gran turismo than the V-12, if only by a few degrees. 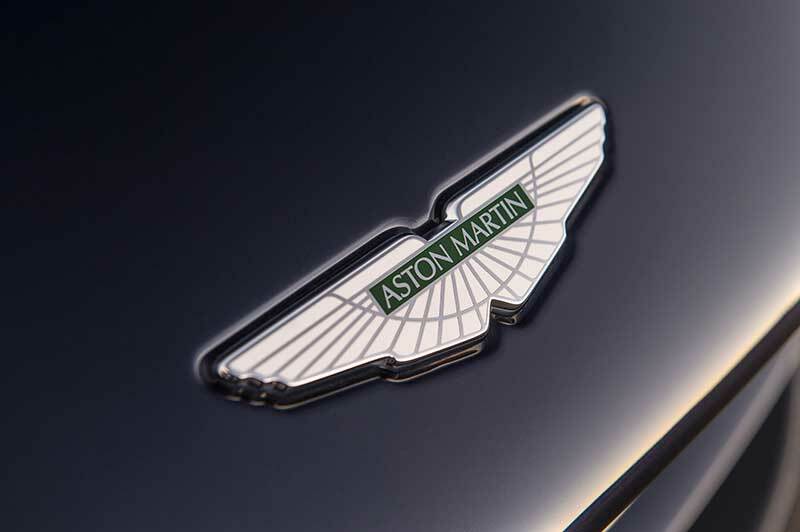 Good on Aston Martin for knowing their audience and not pushing the car off the deep end of ride rigidity. Of course, with a smaller engine, the weight distribution changes slightly in the V-8. Where the V-12 carries its weight 51/49 percent front versus rear, the V-8 shifts to the exact opposite ratio—49/51 percent. Its 503 horsepower and 498 pound-feet of torque help give it an advertised top speed of 187 mph, and it charges from 0-60 miles per hour in a claimed four seconds flat. 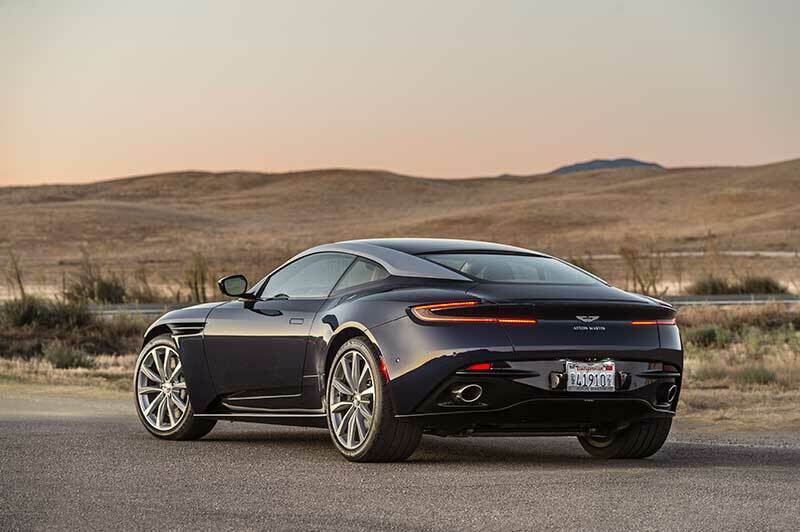 Those numbers are thanks in part to the 243 pounds the DB11 V8 dropped compared to the V-12 version; its total weight now hovers at 3,880 lbs. 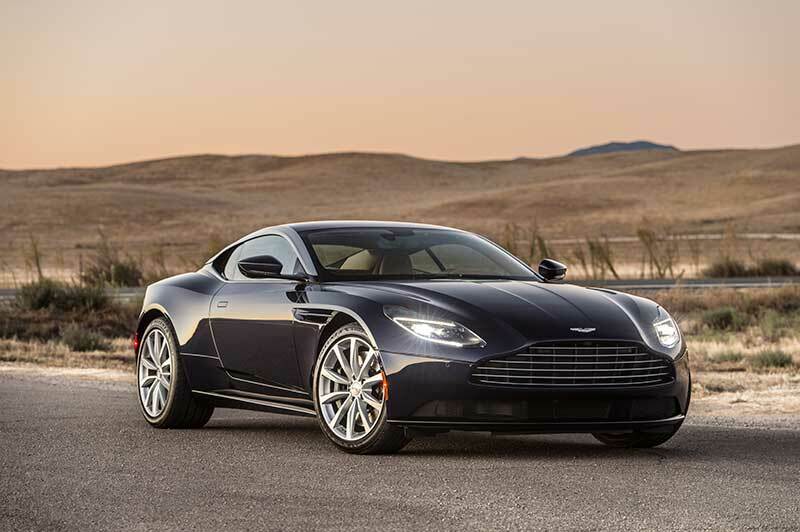 Hartley said many of these changes to dynamics would eventually find their way into the V-12 down the line, so there’s something other than the Volante convertible DB11 coming soon to look forward to. 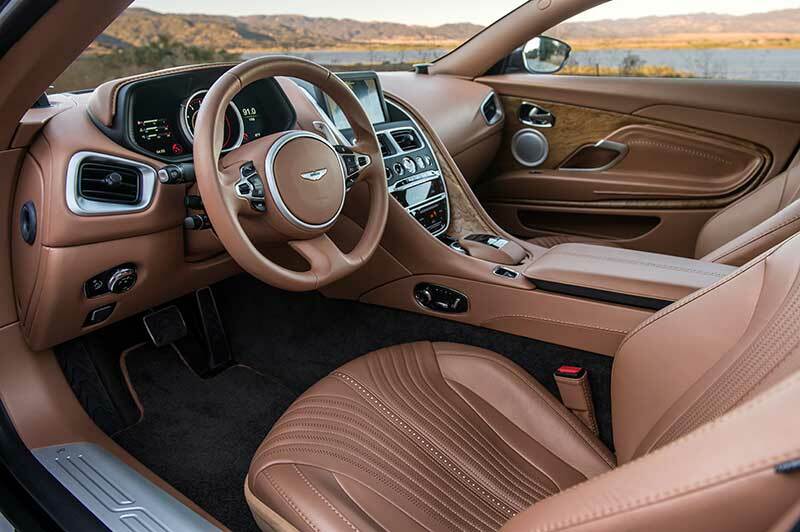 And while it may not look very roomy, this Aston's interior might surprise you. Four journalists squeezed into this bespoke leather handbag of a car to get to the airport. The punch line is that we all fit, luggage included, though we did jokingly consider stashing a bag or two in the extra space where the rest of the V-12 used to go. 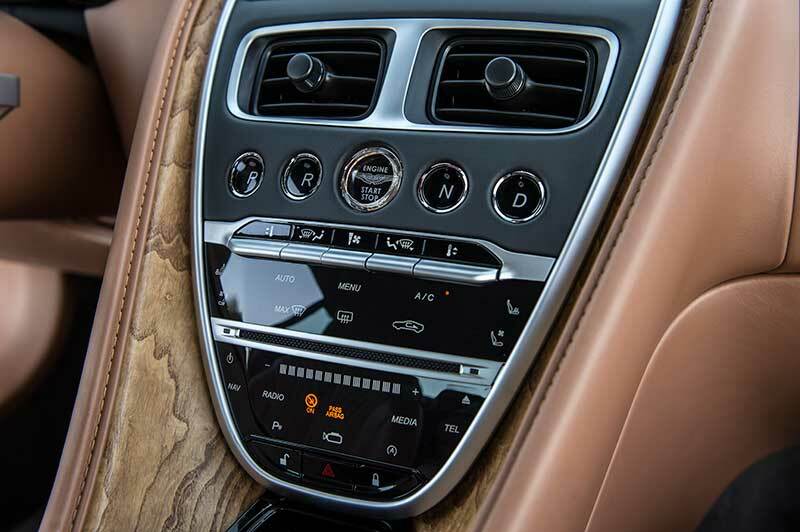 The V-8 luxuriates in all that real estate under the hood...which is more than can be said for those in the back seats, which are less comfortable than a marble slab in a mausoleum. They truly are for appearances...or your briefcase. 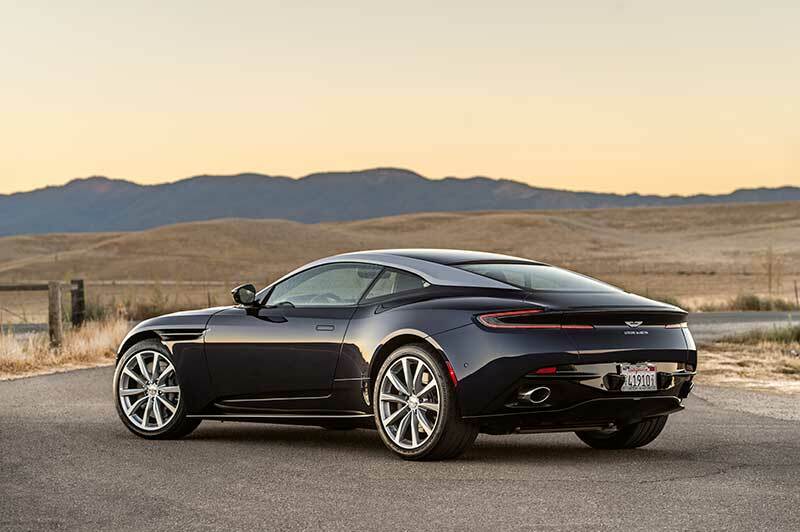 As the gauchely American commercial for the saltiest, least-healthy vegetable juice around says, “I could’a had a V8.” And it's good advice, as long as you only apply it to the eight-cylinder version of Aston Martin’s DB11. If you don’t look into this one, you’ll definitely be slapping yourself on the forehead...because less engine here in no way means less fun. 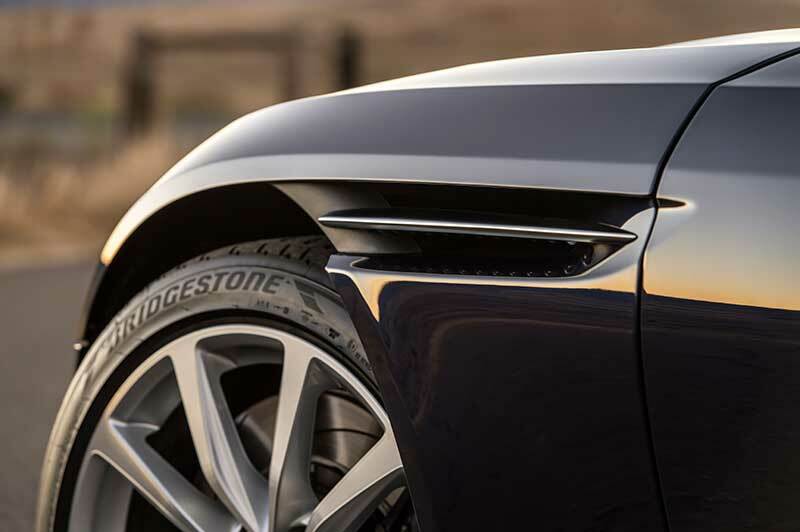 While "technically possible," a Vantage with a V-12 may not align with the handling characteristics Aston is going for.